Elderly lower back pain can be caused by the same sources as dorsalgia in younger people or may result from age-specific circumstances. The elderly often demonstrate the collateral effects of age and activity on their spines, expressing significant deterioration structurally and functionally. However, elders are less prone to experiencing chronic back pain than those who are substantially younger than them, creating much interest among students of chronic pain, such as all of us at The Cure Back Pain Network. Research and clinical statistics show that seniors over the age of 65 are far less likely to report chronic lower back pain than people in the age range of 30 to 60. Being that spinal degeneration is the most commonly implicated source of lumbar symptomology (and logical given that the lumbar spine is the area of most noticeable and early onset degeneration), this factual statistic has many traditional medical providers guessing as to the cause of such an unexpected occurrence. However, during our many years of experience dealing with low back pain problems in all age demographics, we have solved the riddle and will happily share our findings over the course of this fascinating essay. This investigative report focuses on the types of lower back pain that are found almost exclusively in the elderly age demographic. However, we will also detail why the elderly are statistically spared many of the diagnoses that haunt younger patients, simply because they do not suffer pain from these incidental spinal abnormalities. In conclusion, we will provide evidence for why many seniors are excluded from enduring chronic degenerative pain. Osteopenia and osteoporosis will weaken the spinal bones and create ample opportunity for compression and traumatic fracture to occur. Obese elders are particularly susceptible to compression fractures that might affect multiple vertebral bones and are very common in the lumbar region of L4 and L5. Adult scoliosis is more common in the elderly, although it is rarely symptomatic. Likewise, hyperkyphosis and lordotic changes are very common in senior patients and might negatively impact posture and ambulation, but do not typically cause back pain. Degenerative spondylolisthesis is most common in senior patients and symptomatic cases of grade 3 and 4 classification might create pain and spinal instability. Central spinal stenosis is normal to experience as we get older and is rarely symptomatic. However, most painful cases involving spinal cord and cauda equina compression occur during the years of advanced age and might require dramatic surgical intervention to resolve in patients who are healthy enough to undergo an operation. Degenerative disc disease is universal in the elderly and reaches its most significant levels. Pain related to DDD is almost unheard of in senior patients. Likewise, herniated discs are almost always present in the spines of the elderly, but are almost never pathological and are rarely implicated for creating pain. Osteoarthritis is at its height of development in the elderly, but the typical forms are rarely diagnosed, since seniors do not commonly complain of symptoms that are typically associated with arthritic accumulations. Back muscle pain conditions, such as injury, imbalance and fibromyalgia are dramatically less common diagnoses in senior patients. Almost all of the above conditions are rampant in the elderly spine, yet are rarely diagnosed as the source of pain. Why? Primarily because the patient is not complaining of any pain… This fact is a surprise to many care providers who embrace the Cartesian medical philosophy, which embraces the idea of structural abnormality being the most logical origin of symptoms. However, we are not surprised by this fact at all. Some neurologists theorize that the nerve tissues in the elderly are dysfunctional and not signaling as they should. 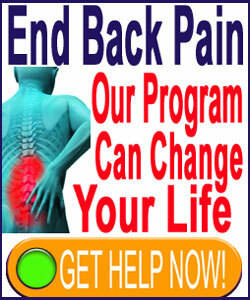 They say that this explains why all of these spinal irregularities can exist without pain being present. However, the very same elders who are given this explanation often do suffer from pain elsewhere in the body, due to obvious age-related changes. 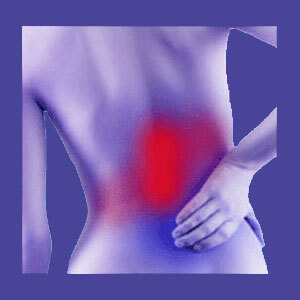 They might also suffer transient back pain on occasion in the same manner as all of us of every age. Therefore, this theory has little believability. The fact is that virtually all spinal abnormalities are not inherently painful or problematic. They might represent a difference in objective spinal anatomical normal, but they do not embody pathology in most instances. Only rare cases of spinal atypicality become pain generators and virtually always provide evidence of pathology when they do. In the absence of proven pathology, spinal abnormalities should be considered incidental findings, as they often are in elderly patients. In all age demographics, these conditions are most often utilized as scapegoats on which pain is mistakenly blamed, rather than being the actual underlying cause of pain. These conditions are often also frequently used as effective camouflages for psychogenic pain syndromes. In our clinical experience, and as suggested in the work of Dr. John Sarno, many elders are spared much of the motivation for most psychogenic pain conditions since they are at a different stage of life where they do not feel the burden of responsibility nearly as much as younger patients who complain of lower back pain far more often. Dr. Sarno suggests that people in the ages of responsibility are most frequently victimized by mindbody pain conditions compared to younger and older people. These younger patients must provide for themselves and their families, as well as strive for success, security and stability in a very competitive world. No wonder they are prime targets for pain created from subconscious rage. Elders have already had the opportunity to settle much of their emotionally sensitive baggage and are no longer expected to do so much in life. In essence, they are beyond judgment from others, but more importantly, beyond judgment from themselves. Mindbody symptoms can occur in seniors, due to rage over aging and many other issues, but as a whole, seniors are less susceptible and therefore are not burdened by pain blamed on incidental spinal abnormalities in the same way that these identical or even less significant conditions are used to justify the diagnosis of lower back pain in much younger patients.